There's nothing new about a supper club. 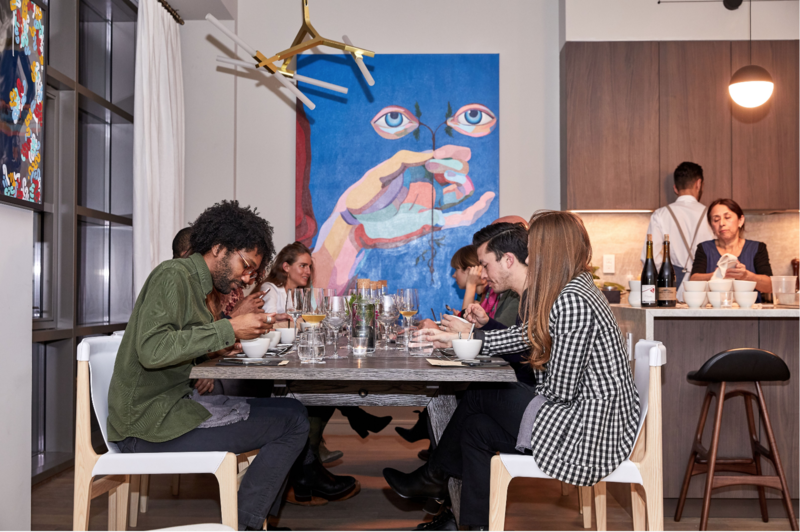 The basic structure—of one-off ticketed dinners in intimate spaces—offers diners an escape from the loud, dark sterility of many hot-ticket residents, while also facilitating mingling among guests. Yet Resident, the New York-grown startup from Brian Mommsen, is a little bit different. For one, the up-and-coming chefs who cook at Resident do so for upwards of six months—sometimes even eighteen. Resident's current chef Matt Cruz, formerly of San Francisco’s Michelin-starred In Situ and Lazy Bear, hopes to stay on for at least a year. He said getting the gig at Resident was like "winning the lottery." 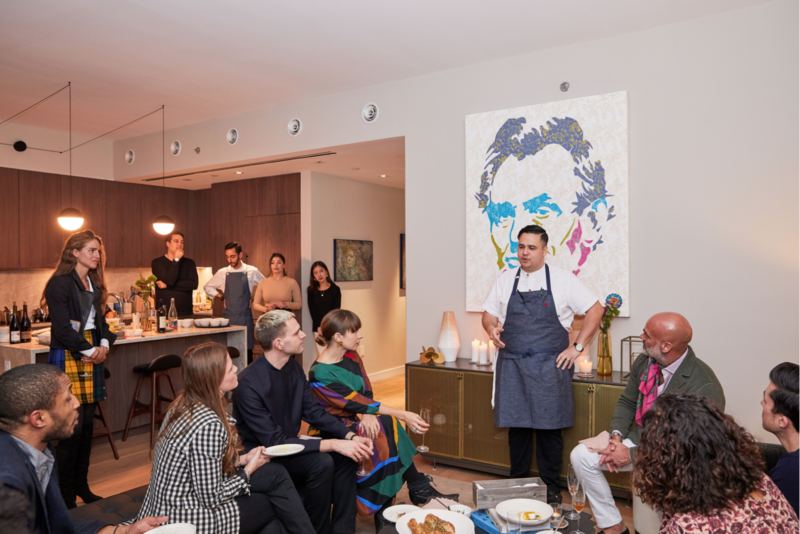 At a recent dinner, chef Cruz prepared a meticulous, deeply personal multi-course menu for a table of twelve. The setting was a yet-to-open luxury apartment building in Williamsburg, at 138 N. 10th street, still surrounded in scaffolding, but after climbing the unfinished stairs, I found the apartment to be elegantly finished with art, furniture, and hors d'oeuvres of uni-topped oysters and mini pastries crowned with beef tartare. Amy Pastre and Courtney Rowson, the founders of SDCO Partners, handled every design element, from the menu to the logo, when Resident offiicially launched in August 2018. Tickets to upcoming Resident dinners are available on meetresident.com. The seven-course dinners, which include wine pairings, cost $150.